So far ellisonadmin has created 15 blog entries. 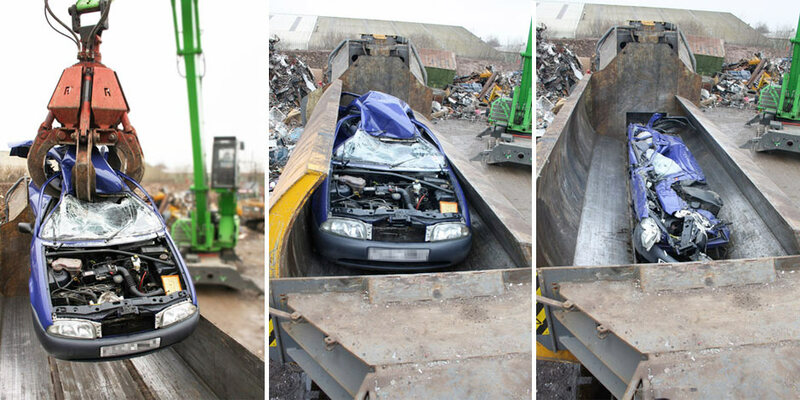 Ferrous metals can be expensive to buy, and difficult to get rid of at the end of their use. Recycling your steel with Entrec gives your company the best value for money and return on your investment, as well as does your bit towards your business’ environmental responsibilities. 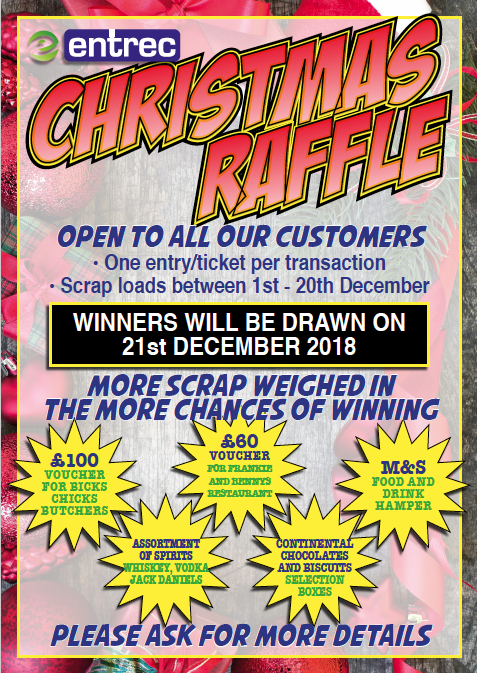 Enter Entrec’s Christmas Raffle this December to be in with a chance to win some fantastic prizes! Virtually all types of metal can be recycled into high quality new products and this helps to protect the environment by using less natural resource and saving energy. 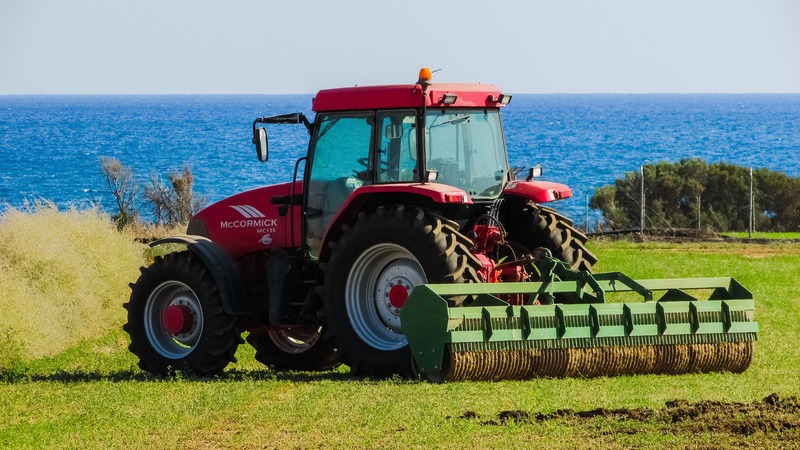 It also means less disposal to landfill and less overall harm to the environment. 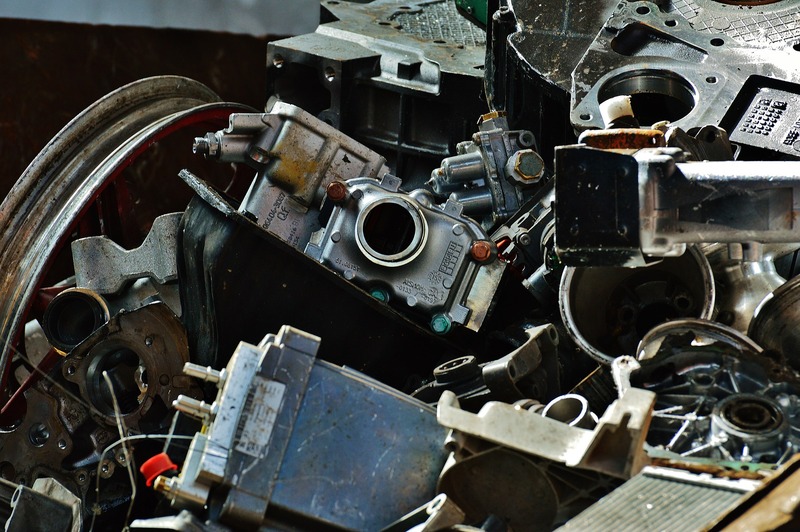 But what are the advantages of metal recycling to you and your business? We have broken it down for you in our quick guide. In response to increasing demand, Entrec have recently taken delivery of the Le Fort Conkeror 900 ton shear. Manufactured in Belgium, the cutsom-made machine weighs 80 tonnes and is replacing the 500 ton shear as part of the company’s investment in production. 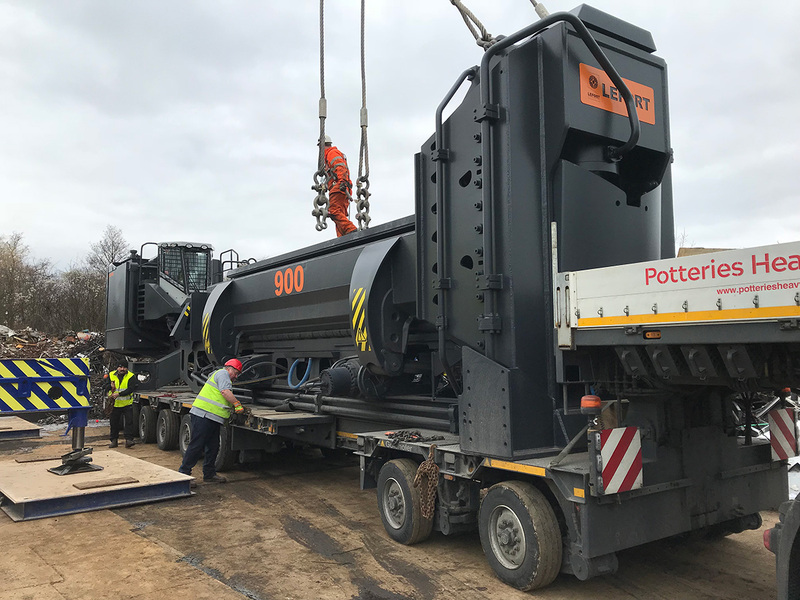 This addition to Entrec’s recycling machinery comes at a time of the company’s expansion, and Entrec’s commitment to providing a first-class, efficient service is evident in their £800,000 investment into new machinery.